The car itself would draw enough attention of oom Agent (as we call cops in the Netherlands) and as the takeyari is most probably very illegal in the Netherlands (no objects are allowed to stick out of the bodywork) it is made detachable. At the front an oil cooler and fender mirrors have been mounted. 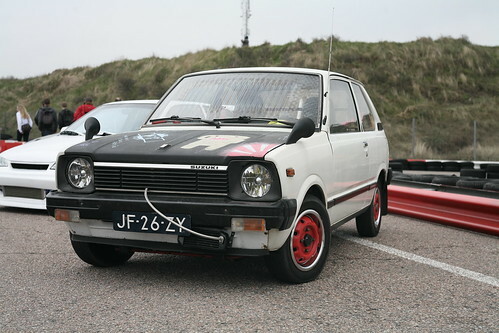 Also the hood is covered in blackboard paint and all sorts of JDM drawings can be made on it. Very cool feature! 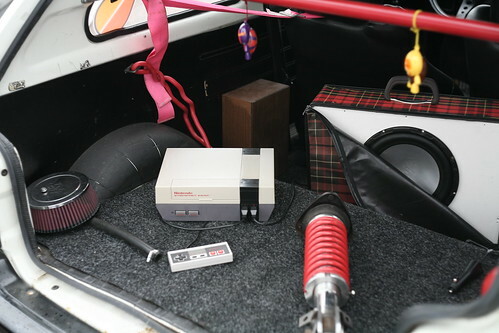 In the back of the car there was this low tech inboard entertainment system, talk about periodically correctness! Also coil-overs were supposed to be mounted before the meeting but there was not enough time to do so. I think this car is one of the best builds I’ve seen so far to create a kaido racer outside Japan and if the coil-overs are mounted it will undoubtedly make it even closer to the top! Haha I love this comment. 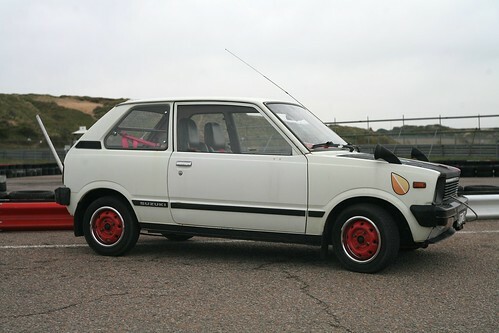 i love this blog, but this car is a poor attempt at Bosozoku styling. Where many people fail is the execution and quality of the finished project and IMO this car is a prime example. Everyone thinks if you wack on a external cooler or have a 10ft Takeyari exhaust it’s automatic Bosozoku cool. Wheels – they are practically stock and they have been painted red to make it further stand out that they are stock. The bonnet – If chalk board paint isn’t the sign of a bandwagon fashionista then the Domo, Rising Sun & Fukushi mark (elderly leaf) would give it away. Did you really have to add the drawings and leaf to show everyone how “JDM” you are? Oil cooler – unless you track the car there is no need for a functional external cooler. 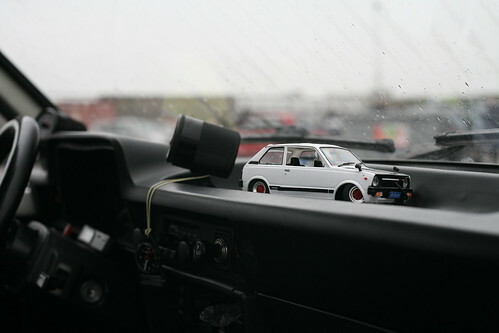 If its a prop, then at least get the long FC RX7 or RX4 oil cooler and do the Zokusha scene some justice. 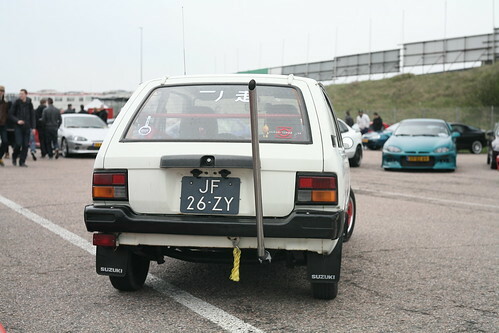 Not sure if something has got lost in traslation but I hope this is not how the Netherlands imitates Bosozoku style. The oil cooler used to be fully functional until earlier this year when he had a little accident with it. Also most of the oil coolers used in the kaido racer scene are mostly a prop. FC RX7s and RX4s are very hard to get by in the Netherlands as the RX4 never made it here and the FC was not as popular as I hoped it would be. What fender mirrors are they? I assume not genuine suzuki?